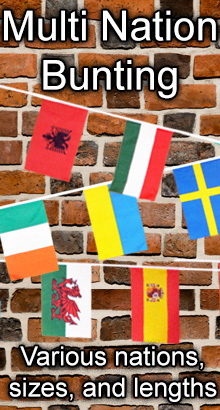 This Euro 2016 Giant Bunting length features 24 flags sewn to a strong poly.. 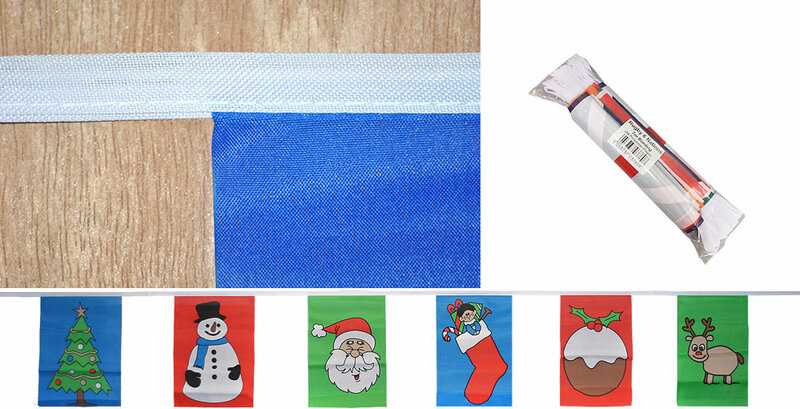 This Euro 2016 Mini 6m Bunting Bunting length features 24 flags sewn to a s..
Triangle Euro 2016 Bunting for sale - 24 Nations (20 x 30 cm flags - LONGER 12.5m length) Our..
2018 World Cup 32 Nations Triangle Bunting - Ideal for pubs, and other venues. 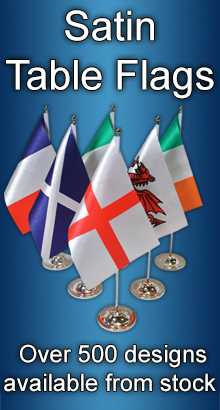 &nb..
Triangle World Cup 2014 Bunting for sale - 32 Nations (30x45 cm flags - 11.5m length) The tri..
8.85 metres long flag bunting Each length contains 14 Large flags sewn on to a strong polyest..
4.5 metres long flag bunting Each length contains 14 flags sewn on to a strong polyester tape..
5 metres long flag bunting Each length contains 16 different national flags sewn on to a stro..
8 metres long (approx 25 feet) Contains 28 flags sewn on to a strong polyester tape, each fla..
9 metres long flag bunting Each length contains 30 flags sewn on to a strong polyester tape, ..
9 metres long flag bunting Each length contains 32 flags sewn on to a strong polyester tape, ..
World Cup 2014 Bunting for sale - 32 Nations (15x22.5 cm flags - 10m length) Our World Cup bu..
15 metres long (approx 50 feet) Contains 50 flags sewn on to a strong polyester tape, each fl..
29.25 metres long flag bunting Each length contains 50 flags sewn on to a strong polyester ta..
16 metres long (approx 53 feet) Contains 53 flags sewn on to a strong polyester tape, each fl..
16.5 metres long (approx 54 feet) Contains 54 flags sewn on to a strong polyester tape, each ..
7 metres long (approx 23 feet) Contains 4 flags of each of the 6 Nations rugby teams sewn on ..
16 metres long (approx 52.5 feet) containing 24 large flags Contains 4 flags of each of the 6..
5 metres long (approx 16.5 feet) containing 12 flags Contains 2 flags of each of the 6 Nation..
Triangle 6 nations Bunting for sale - 24 flags (20 x 30 cm flags - 10m length) Our 6 nat..
16 metres long (approx 54 feet) Contains 54 flags (1 of each of the Commonwealth Nations) sew..